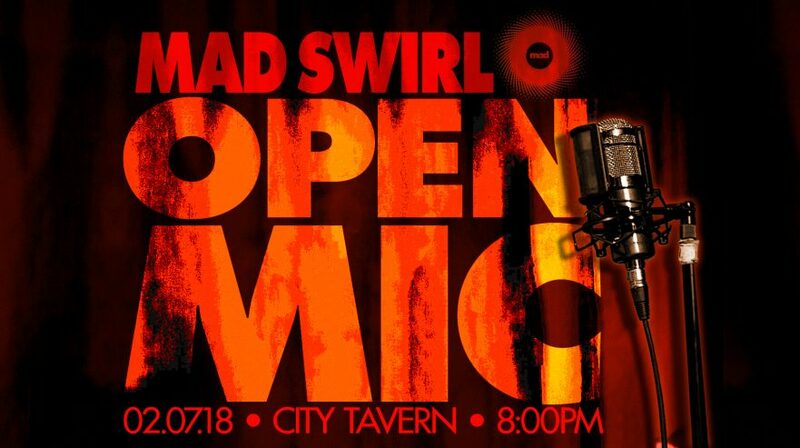 This past 1st Wednesday of February (aka 02.07.18) Mad Swirl​ stirred it up again! As always, we opened the mic up to all you mad poets, performers and musicians and as always, we swirled us up a mighty fine night! GREAT BIG thanks to Swirve (Gerard Bendiks​ skins, Chris Curiel​ trumpet, Tamitha Curiel​ vocals & guest guitarist Greg Prickett) for stirring the Swirl the best way in the world! More HUGE thanks to City Tavern​’s Thad Kuiper & Noble Tse for makin’ our stay most righteous. And lastly, but never leastly, thanks to all who came out to the Tavern & shared this loving, laughing, lasting night of poetry and music with us!